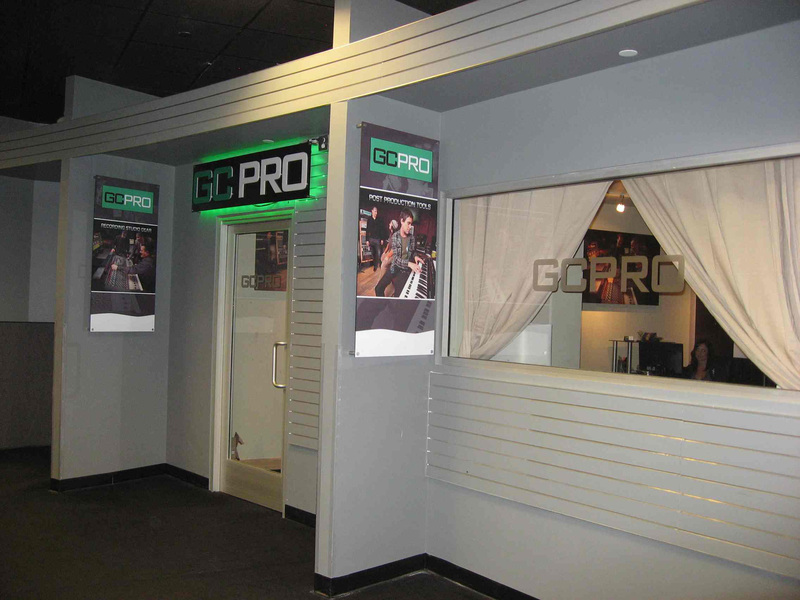 The entrance to the GC Pro offices at the Guitar Center store in West Los Angeles. WESTLAKE VILLAGE, CA, April 20, 2011 — Guitar Center Professional (GC Pro), the outside sales division of Guitar Center that focuses on the needs of professional users, is following up a banner 2010 with several expansion initiatives throughout 2011 and beyond. GC Pro now has over 70 staff members located in 42 cities nationwide, three full-time regional business development sales managers and a strong support staff based in GC Pro’s Westlake Village, California headquarters, directing the growing sales force. Acknowledging its 10th anniversary and setting the stage for the next phase of growth, GC Pro has opened new locations nationwide, appointed new key personnel and continues its expansion into additional market sectors. First, several Guitar Center stores have added GC Pro locations this year, including San Jose, California; Tempe, Arizona; Clackamas, Oregon; Minneapolis/St. Paul, Minnesota; Plano, Texas; Indianapolis, Indiana; and Country Club, Illinois. To support an operation of this size, GC Pro has recently promoted several key individuals from their GC Pro team, and they have added additional management, sales and support staff positions. Dan Scalpone, who previously had the title of Senior Account Manager at the GC Pro Chicago location, has been promoted to the position of GC Pro Business Development Manager for the south-central territory, which expands GC Pro’s team of full-time regional sales managers to three. Chad Evans, who has served as Account Manager at GC Pro’s Nashville location, has been promoted to the position of Senior Account Manager. Another planned new position is the addition of another Senior Account Manager, which will be filled later this year. In 2011, GC Pro will also continue to expand into the area of engineered/installed sound. In order to effectively grow into this market sector, two new full-time GC Pro engineered/installed sound individuals will be based in New York City and Hollywood, California, respectively. These personnel will be involved in high-end technical support – everything from setting up complex ProTools HD rigs and Custom Apple PC builds to supervising the installation of professional sound systems. This move provides GC Pro’s customers an even greater range of products and services, helping bring to fruition their dreams of a home or commercial recording studio, the building or updating of the A/V system in their worship facility, or the design and commissioning of a state-of-the-art corporate boardroom. Photo Caption: The entrance to the GC Pro offices at the Guitar Center store in West Los Angeles. Guitar Center is the world’s largest retailer of guitars, amplifiers, percussion instruments, keyboards and pro-audio and recording equipment. Our retail store subsidiary presently operates 216 Guitar Center stores across the U.S. In addition, our Music & Arts division operates more than 100 stores specializing in band instruments for sale and rental, serving teachers, band directors, college professors and students. We are also the largest direct response retailer of musical instruments in the United States through our wholly owned subsidiary, Musician’s Friend, Inc., and its catalog and Web site, www.musiciansfriend.com. More information on Guitar Center can be found by visiting the Company’s Web site at www.guitarcenter.com.